Sara Barbour argues in a recent editorial that paper-based books create a unique reader experience and connection that cannot be replicated with more modern media such as desktops and tablets. 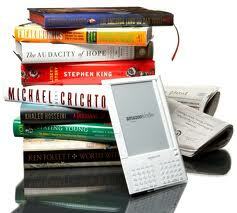 “But once we all power up our Kindles something will be gone, a kind of language. Books communicate with us as readers — but as important, we communicate with each other through books themselves. When that connection is lost, the experience of reading — and our lives — will be forever altered”. Why the romantic attachment to leather and paper? Can’t we build a similar relationship with plastic and assorted electronic componentry? To answer these questions we need to take a closer look at books and the stories and messages that they share. I first read Tolkien’s Lord of the Rings when I was eighteen. I loved the story and Tolkien’s many observations on life. I related to the very ordinary nature of hobbits who were unwittingly swept into adventure by circumstances outside of their control. I connected with the helplessness and chaos which I found both frightening and exhilarating. Why had this story touched my heart? Would I have felt differently had I read from a Kindle? Interestingly, I can share some insight on that question. Shortly after I started my first year of studies at UBC I discovered the Wilson Recordings library which offered a large collection of vinyl LPs (long-playing records for those of you too young to remember). 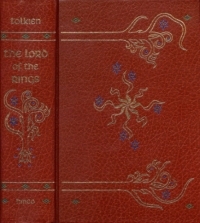 Hidden amongst its collection of music was a two-album recording of The Hobbit read by Tolkien. Certain that it would prove more entertaining than studying, I sat down and listened to Tolkien’s full two-hour narration. Entranced, I dug deep into my pockets and rushed out to buy the deluxe hardcover edition of Lord of the Rings (the 1974 collector’s edition complete with imitation leather covers). Since that reading, I have developed a life-long addition to this book which I typically reread every 1-2 years. I was drawn to Lord of the Rings not because of The Hobbit’s novel media but by love of the story and a strong connection with its characters. The recording may, in some measure, have enhanced the story through Tolkien’s vocal depiction of his many characters. On reflection, however, this enhancement is largely forgotten and seems inconsequential in relation to my thirty-five year love affair with this story. I suspect it may be the same for books. Perhaps, for some, the touch of paper and smell of leather enhances their reading experience. Books are easier to admire and remember in a library than as files hidden on your handheld or desktop computer. I can also understand that books would be important for parents and children where sharing a book is both a tactile (point and touch) and auditory experience. I’d suggest, however, that the added enhancement is comparatively minor and will be quickly forgotten in relation to the life-long memories of stories and their characters. Parents and children will continue to bond with stories by A.A. Milne and J.M. Barrie whether they’re read from a book, a Kindle, or perhaps, in the future, watched as holographic novels.